Whether you need brunch suggestions for Mother’s Day, for a long summer weekend entertaining house guests, or just for adding some fun to a regular Saturday morning, Frisco has everything you could want. 5th Street Patio Cafe – If you’re looking for a traditional casual diner atmosphere, this charming cafe in the heart of Frisco is your destination. The French toast will captivate the taste buds of every age group the charming old-school-style sprawling porch and dining room will charm you into coming back again and again. Barney’s Brunch House – As the name suggests, they’re open from 7:30am-2:30pm, and they’re menu is exclusively designed with brunch in mind. From omelets to sweet crepes, benedicts, and waffles, they’ve thought of it all. This is a new spot in West Frisco near Lebanon and 423. Stop by, and let us know what you think! Bonnie Ruth’s Neighborhood Bistro – This French cafe in The Shops at Starwood has a great patio, fantastic food, full bar menu, award-winning weekend brunch buffet, and exquisite bakery. Pain Perdu au Caramel (French Toast), Blueberry Cream Cheese Crêpes, and a made-to-order omelet station are just a few of the delicious items on the menu. The Depot Cafe – One of Frisco’s best-kept secrets, The Depot Cafe captures the essence of historic Frisco and offers delicious comfort food. It’s charming, consistent, and a great spot for coffee and conversation. Next time you’re looking for somewhere different to eat breakfast or brunch in Frisco, try this beloved Frisco treasure. You’ll experience a warm welcome, and a lot of Frisco history. UP Inspired Kitchen– Family-owned, UP prides itself on its carefully sourced ingredients, offering healthier options like gluten-free, vegetarian, paleo and whole 30 options on their menu. The crisp, bold aesthetic is captivating – when we dined here, we couldn’t stop taking ‘Instagram-worthy’ shots. Try the Salmon Fritt, Steak N Egg, Whistler Vedge Hash, or the French Toast made with carrot date bread! 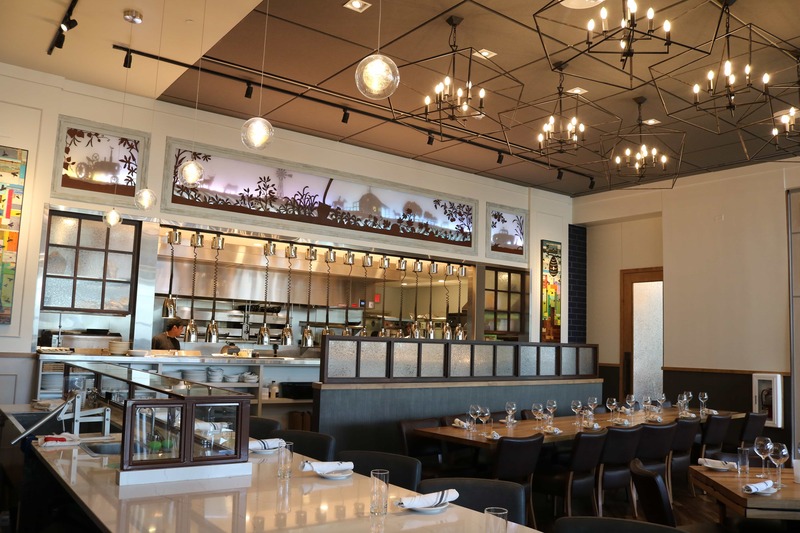 Neighborhood Services – Located in the Omni Frisco Hotel at The Star with a patio off the Ford Center Plaza, it’s the only Neighborhood Services to offer breakfast and brunch. You’ll find Churro French Toast, Smoked Pork Hash, Avocado Toast, House Granola with yogurt, and hand-crafted beet juice, among other delicious menu items. The Common Table – It’s called the “Old School Hip Hop Brunch” for good reason – you’ll hear familiar hip-hop favorites from the 90’s pumping on Saturdays and Sundays during brunch. The vibe is cool, the patio is friendly, and the brunch menu is as extensive as their tap list. One of our very own in-house dining experts, Brandon Novara, called this “one of the best brunches in Frisco.” Find Buttermilk Biscuit Fried Chicken Sliders, ‘Three Little Pigs’ kolaches, and cinnamon-sugar donut holes, among other creative options. The live music and the expanded hours (brunch is served until 3:00 on the weekends!) makes this a prime location for spending a lazy weekend. 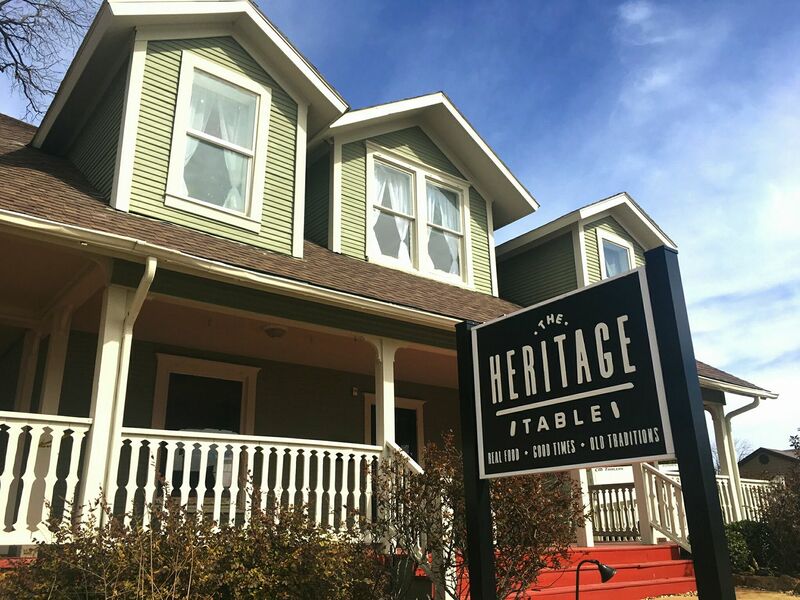 The Heritage Table – Located in the heart of downtown Frisco, The Heritage Table looks quaint and rustic, but its menu is anything but. In addition to their weekday lunch and dinner menus, The Heritage Table offers a hearty brunch menu on Saturdays and Sundays. With a variety of homemade breads, house cured and smoked meats, and carefully locally sourced menu items, a stop here one weekend morning is a must. The Nest Cafe – While their menu doesn’t tout brunch specifically, their ‘brunchy’ business hours, creative breakfast selections and in-house Barista qualify them in our book! Wouldn’t you like to try their Ham and Gruyere Waffle or Garden Omelet? @Nerdvana Food + Spirits – For brunch, it’s hard to beat the fun atmosphere, central location, and patio here. The game-themed menu boasts quirky titles like “Toast Development Kit” and “Quick Play,” but the food is far from quirky. Gluten-free and vegetarian options will keep everyone in your party happy and the spicy mimosas will force you to linger longer than intended. Tupelo Honey – The Star’s spot for upscale Southern cuisine boasts a delicious brunch menu with creative flavor combinations (and cocktails to match!). Try the Chef’s Mason Jar Dips, the Fried Green Tomatoes, Shoo Mercy Sweet Potato Pancakes, or the Avocado Toast and Eggs. TruFire Kitchen – TruFire’s menu is fantastic at any time, but their $2 mimosas and their brunch menu provide particularly stiff competition. 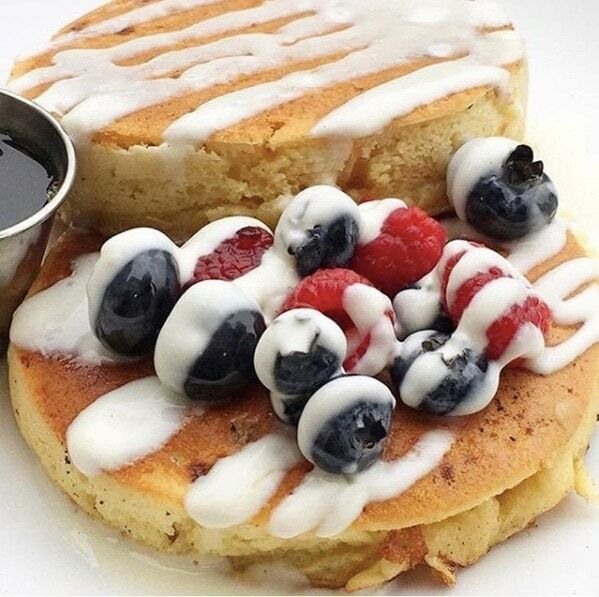 Whether you’re in the mood for bourbon french toast, the honey-smoked salmon benedict, or a gluten-free twist on a traditional breakfast, you’ll find it here. 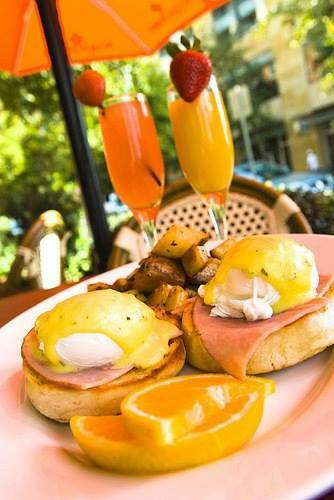 Where’s your favorite Frisco brunch destination? Leave us a comment below!